How could I ever imagine that some mashed potatoes with lemon juice, chili pepper, oil, and salt, molded like a cake, could ever turn into an appetizer of such perfect synergy? Causa didn’t sound extremely promising at first. But I obviously wasn´t acquainted with the one-of-a-kind ingredients of Peru, otherwise I wouldn’t have so readily doubted. This is the kind of dish of which you only need to take a bite, and it suddenly becomes perfectly clear why it is a big star in so many tables. When the recipe says potatoes, it’s not just any potato. 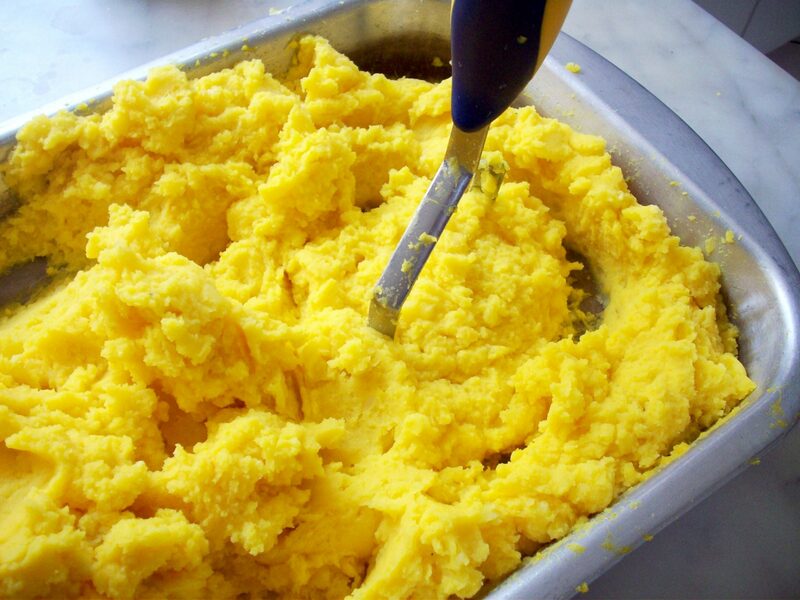 Peruvian yellow potatoes are incomparable to any other you may have tried. Of this, you can be sure. Grown in the highest parts of the Andes, they are small and intensely yellow inside, and have a sandy texture that is creamy at the same time. For most Andean families they are an everyday meal, eaten on their own -simply boiled in water-, or paired with butter or any of the artisan cheeses from the mountains. By the way, potatoes are original from Peru, and we also have the largest variety in the world (more than 3000 kinds!). Limon Ceuti­ (sutil lime), is the most commonly used in our country. Dark green and small in size -very similar to Key limes-, it is appreciated for its strong acidity, adding a citric taste and a delicate perfume to the dish. Additionally, Peruvian Aji­ Amarillo (yellow chili pepper) contributes both with its vibrant color as with a slightly hot kick, which is always graduated by each cook according to personal taste. 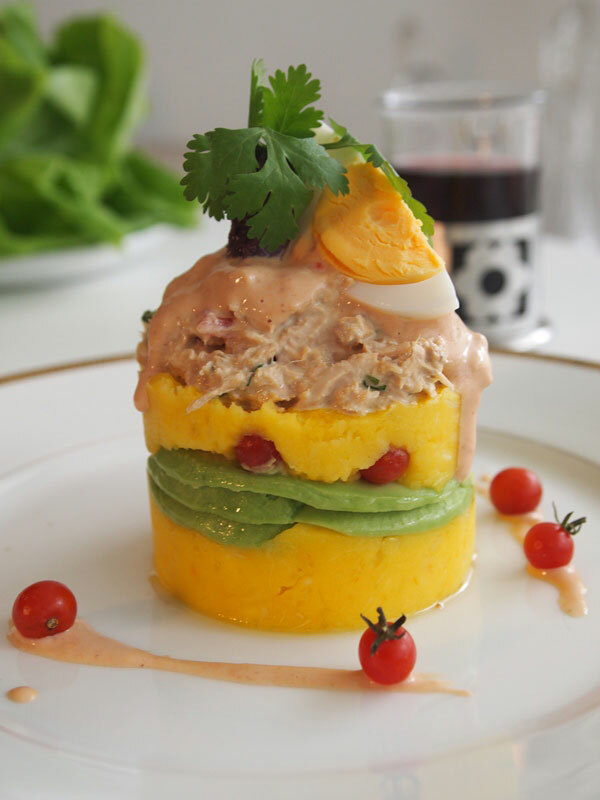 Causa can be found in every corner of the country. 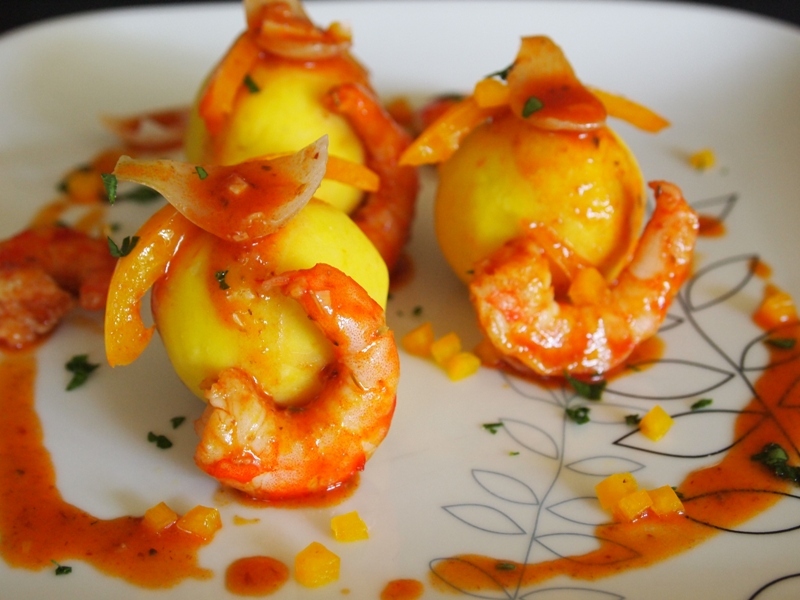 I don´t think there is one single Peruvian who doesn´t cherish this dish . And thanks to the creativity of young innovative chefs, what used to be a simple dish has now lots of sophisticated presentations, and can be found in innumerable shapes, flavors and colors. There even was a restaurant in Lima called Mi Causa that only served variations of this much craved food. 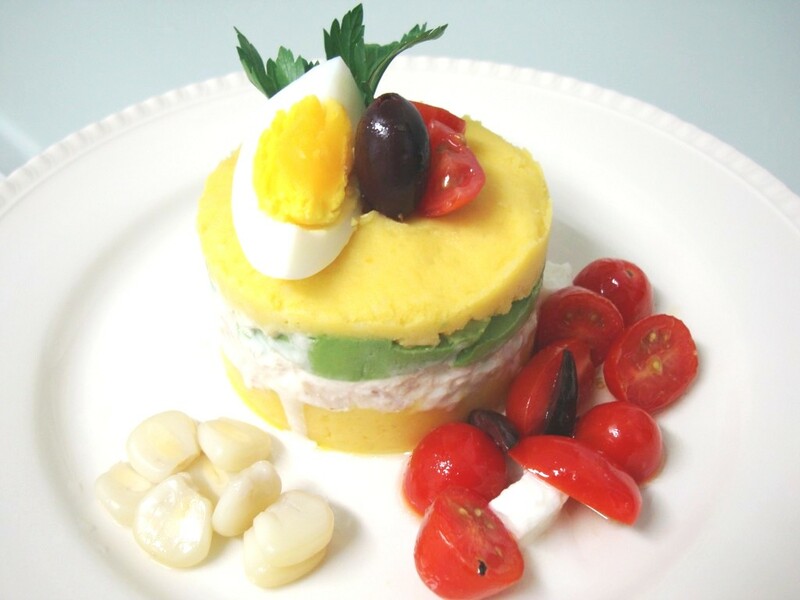 Causa is never left out in households, parties, and restaurants of all levels. 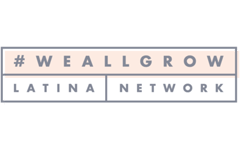 Its long history goes back to colonial times, and probably further back, as its original name is in Quechua (the language of the Incas): Kausay, which means “what nurtures you”. 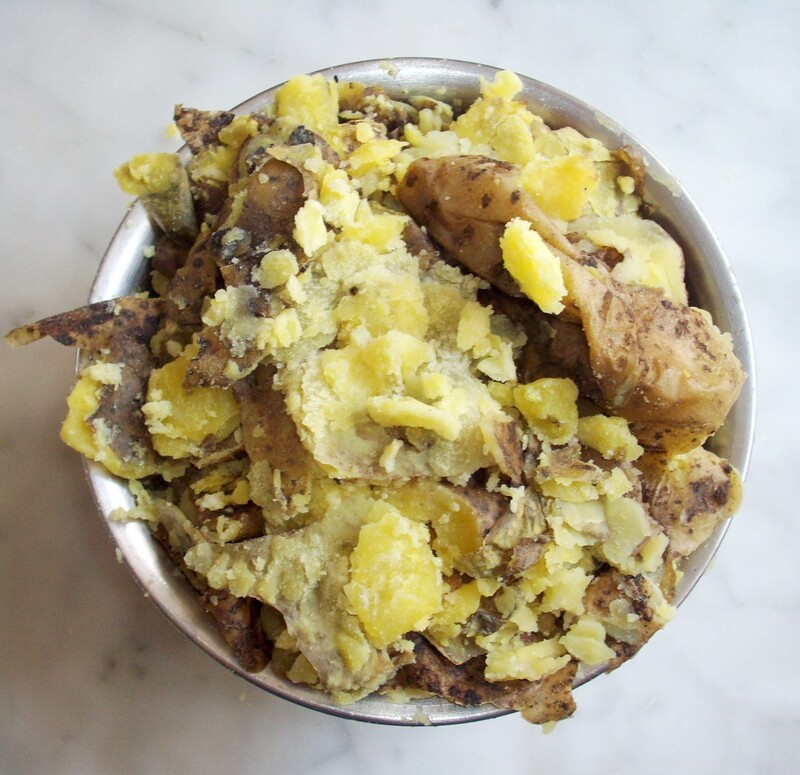 Incas used to feast on yellow potatoes with salt and yellow chili, hence the name. To make it, you can use yellow chili paste as an emergency substitution if you can´t find the fresh or frozen Aji­ Amarillo. This can be found in many supermarkets and grocery stores, or you can buy it online. Try it before you use it, because sometimes it´s not as hot as you may expect, and others, it can bring you to tears. Using other kinds of potatoes and lemons will change the taste and texture a bit, but when abroad, we do it with what we have in hand and love it anyway. I cooked a huge Causa for 20 people this past Thanksgiving using Yukon gold potatoes and regular Key limes. For my daughter and I, the only Peruvians at the party, the texture was a bit off compared to the original yellow potato that we’re used to. It was a bit soggy. But still, it was good enough and did the job. For everyone else, it was a huge culinary success. We saw the whole tray disappear in less than 20 minutes, and happy faces all around. So don’t be shy and give it a try, I´m sure you will love it too. 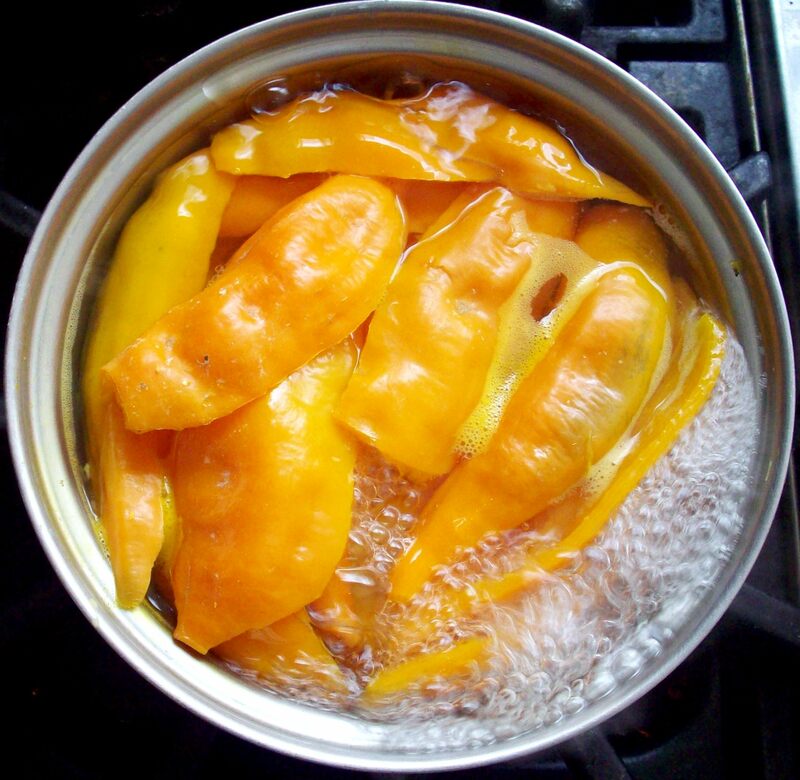 * Place the yellow hot peppers in a pan of cold water, bring to a boil and cook for 15-20 minutes. 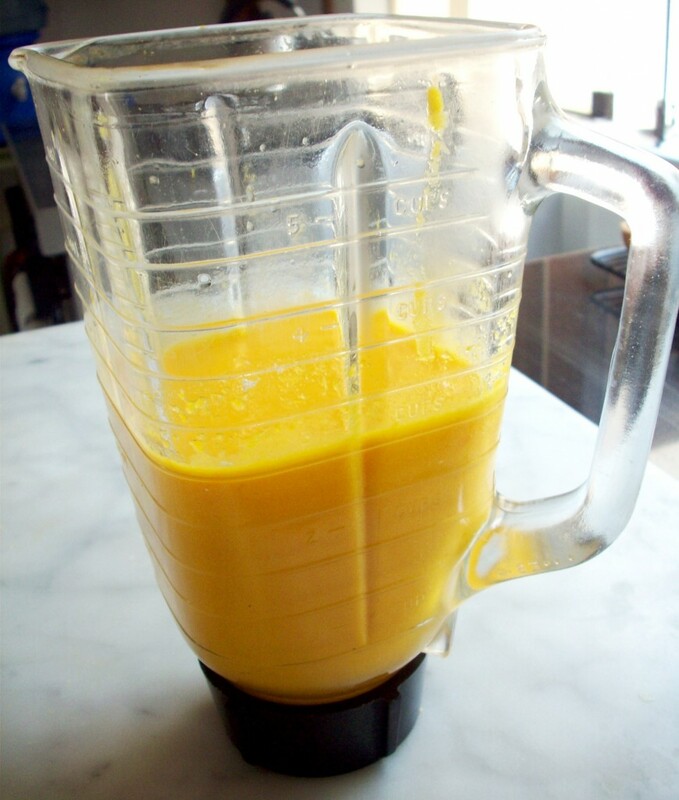 Strain, peel and process in the blender with 1 -2 tablespoons of water until creamy. Reserve. *In another pan cook the eggs in boiling water for 8-10 minutes. Transfer to a bowl with cold water. Peel and reserve. *In a saucepan over high heat cook the corn in water with 1 tablespoon sugar for 10 minutes. It isn´t necessary to cover the pan. When ready, turn off the heat and reserve the corn in the same water. 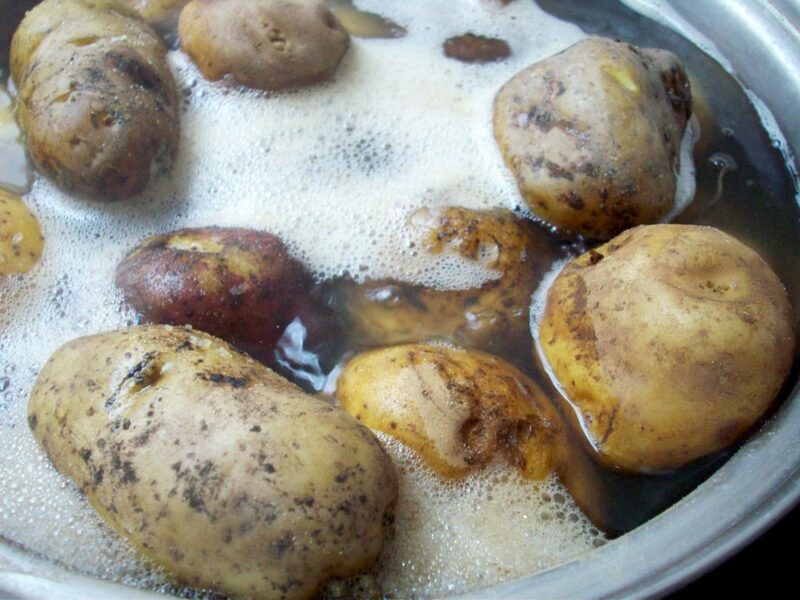 *Scrub the potatoes and cook in a pan of boiling water for 20 minutes or until soft but not mushy. Strain. Peel them while hot and mash them immediately or put them through a ricer. 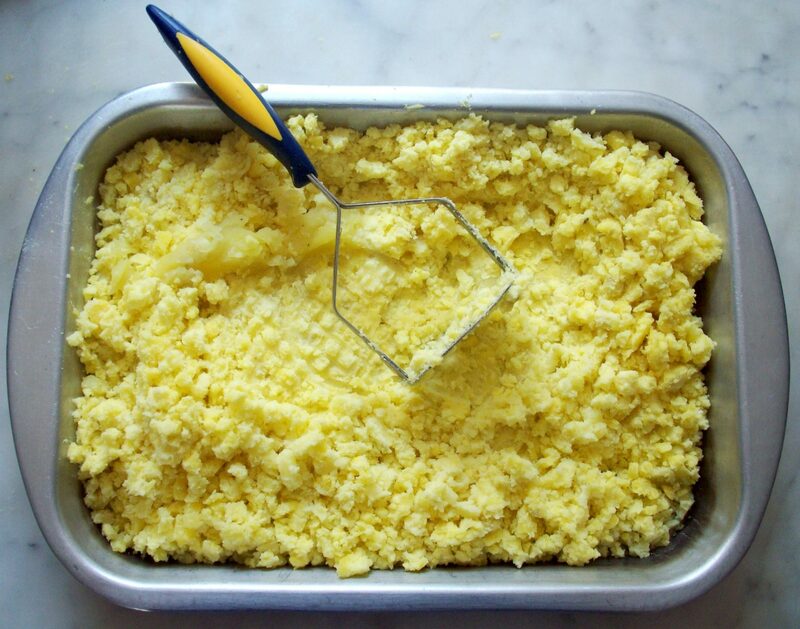 *Add the blended yellow peppers or paste, vegetable oil, lime juice and salt to the mashed potatoes. Mix well and keep tasting them and adding more of any of the above ingredients if needed, till the result is tasty enough for you. Reserve. 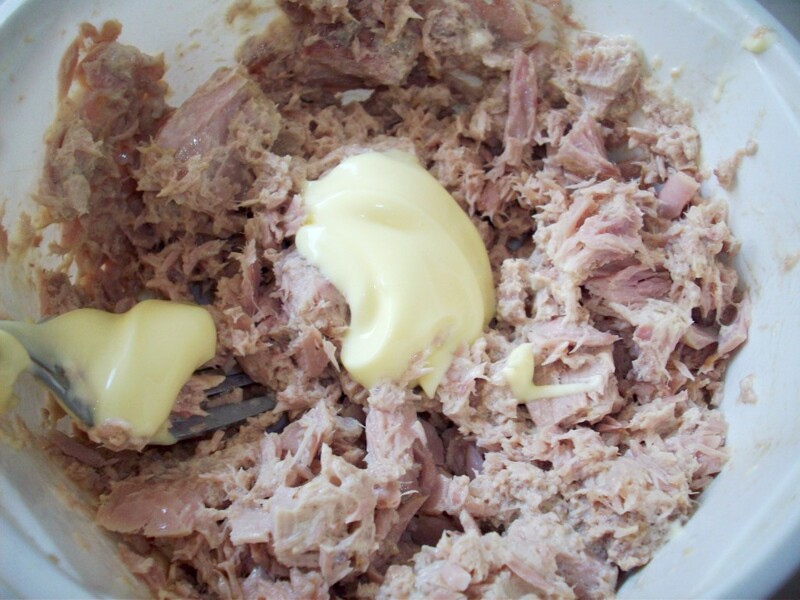 *In a bowl combine tuna with mayonnaise. Slice the avocado. *Lightly oil a large container (we use round or loaf pans, or pastry rings). Line the base with a layer of the potato. Cover with the tuna mixture and then with avocado slices, salt and pepper. Add another layer of potatoes on top. Chill in the refrigerator. *Prior to serving, decorate with hard boiled eggs, black olives, parsley, tomato and corn. (You can choose any mix of these ingredients, or get creative and add your own!). Serve cold.